Todays Superfood Sunday will be all about chia seeds – one of my absolute favorite superfoods! 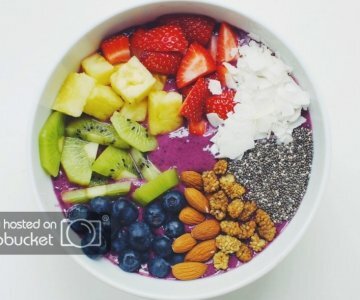 Add chia seeds to your smoothies and smoothie bowls – recipes here, here and here! Now, what exactly are chia seeds? 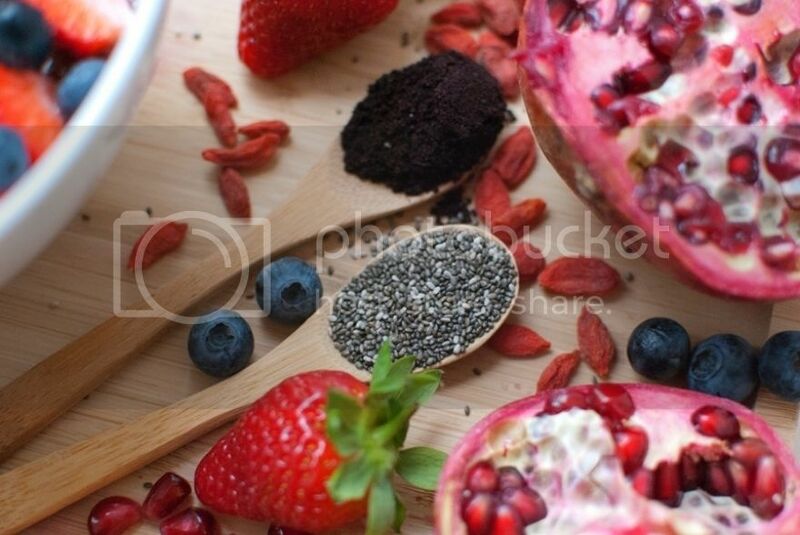 Chia are small edible seeds that have actually been used for thousands of years. Chia seeds originate from Mexico and it is said that Aztecs and Mayans were avid users and viewed the seeds as being almost magical, crediting them for increased strength and energy. One of the great things about chia seeds is that – unlike flaxseeds – they can be successfully absorbed whole, which means that it is not necessary to grind them before consumption to reap their full nutritional- and health benefits. Chia seeds comes in different colors; black, white and brown, but they all share the same benefits so you don’t need to worry about which kind to choose. You should however be aware of black seeds that are smaller than usual as these are weed seeds and also red seeds as these are immature chia seeds. If the chia seeds you buy contain these I would recommend changing to a different brand as this is usually a testament of low quality seeds. 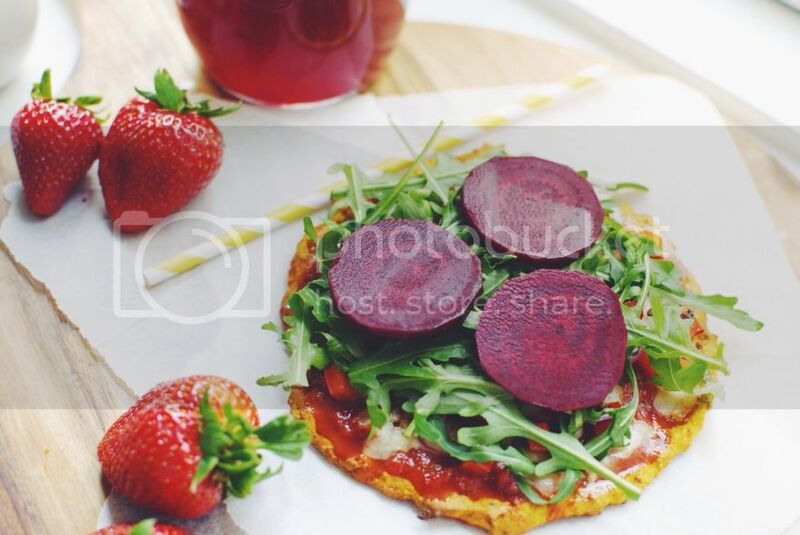 Sweet potato crust mini pizzas with chia seeds – recipe here! Chia seeds has a huge nutritional profile as they are a concentrated food containing healthy omega-3 fats, manganese, phosphorus, carbohydrates, protein, fiber, antioxidants, and calcium making them a true superfood delivering maximum amounts of nutrients. 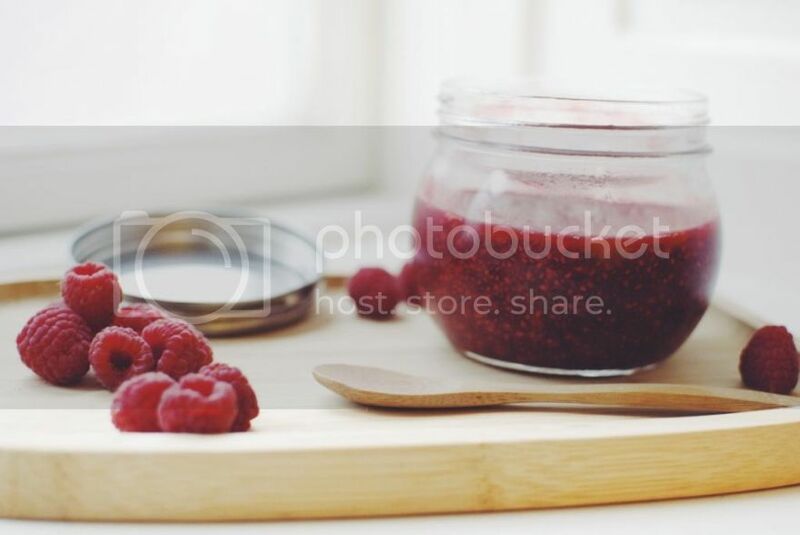 Raw raspberry chia jam – recipe here! There are many potential health benefits from adding chia seeds to your diet, but since the discovery of chia seeds and its superfood qualities are still quite new to the medical world, there is till a lot of research and experiments to be done, before the health benefits of chia can be stated with complete certainty. Chia seeds are packed with omega-3 fatty acids. They are actually the richest plant source of omega-3 and are also overall one of the best sources of omega-3 in any of the food groups – in fact, chia seeds contain more omega-3 than salmon! The seeds are not only high in omega-3, but also in omega-6, both are very important since our bodies cannot produce them on their own and they are essential for both brain and heart health and they are also needed to build new cells and to regulate various processes in the body. As an extra bonus these essential fatty acids are also very good for your hair, skin and nails. Studies indicate that consuming chia seeds as part of a healthy diet may help improve cardiovascular risk factors such as lowering cholesterol, triglycerides and blood pressure. Chia seeds are believed to have great benefits for diabetics as the seeds slows down digestion and has a stabilizing effect on blood sugar levels, which is why scientist are studying chia seeds as a potential natural treatment for type 2 diabetes. Chia seeds contain calcium, manganese and phosphorus, which among many other health benefits are important for maintaining healthy bones and teeth. Chia seeds make a great source of protein – great for vegans, vegetarians and people like myself who only rarely eat meat – and as an extra bonus you get all the protein, but none of the cholesterol. 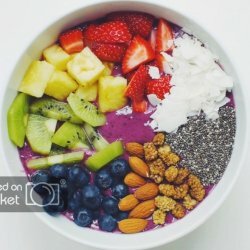 Chia seeds are potentially a great aid in weight loss as they expand and can absorb up to 12 times their own weight in liquid, which should help you feel full longer – I do however write ‘potentially’ as there isn’t any concrete evidence that consuming chia seeds have an effect on weight loss. 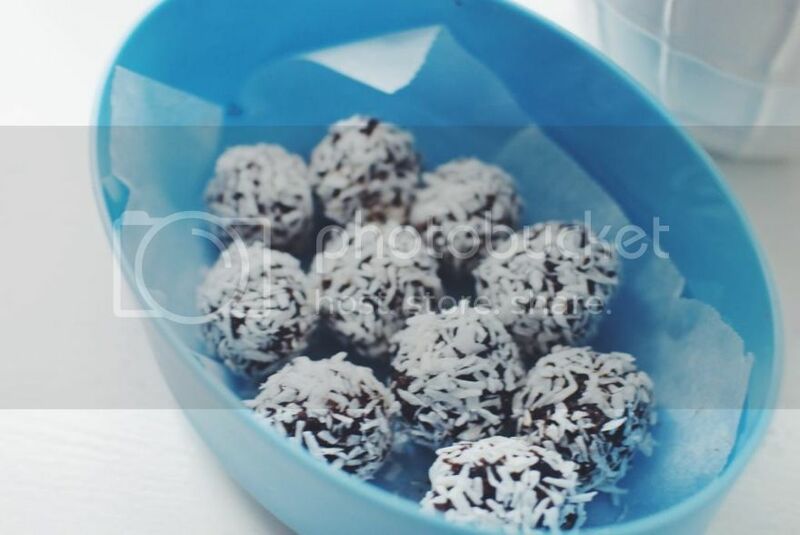 Raw cacao date balls with chia seeds – recipe here! So how to you add the little super seeds to your diet? One of the best things about chia is that the seeds are almost completely flavorless, which means that you can pretty much add them to anything without changing or ruining the original flavor. You can mix the seeds into your smoothies, baked goods, or muesli or you can sprinkle them on top of your yoghurt or salads and you can even sprout the seeds and eat them that way too! 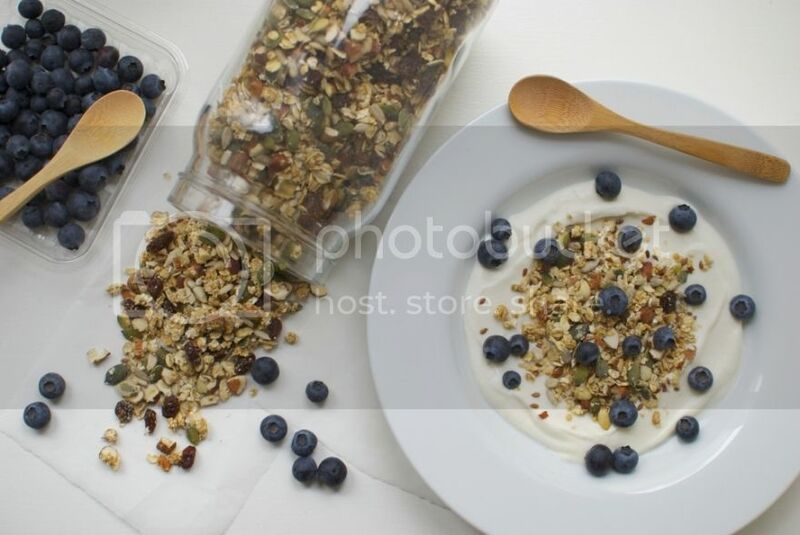 Homemade muesli with chia seeds – recipe here! The answer to this question obviously depends on where you live, but the good thing is that chia seeds are becoming so popular and well known that they are actually starting to be a part of the regular stock on supermarket shelves all over the world. If you’re not able to find them in you local supermarket you should be able to find them in health stores and they’re of course also available online. 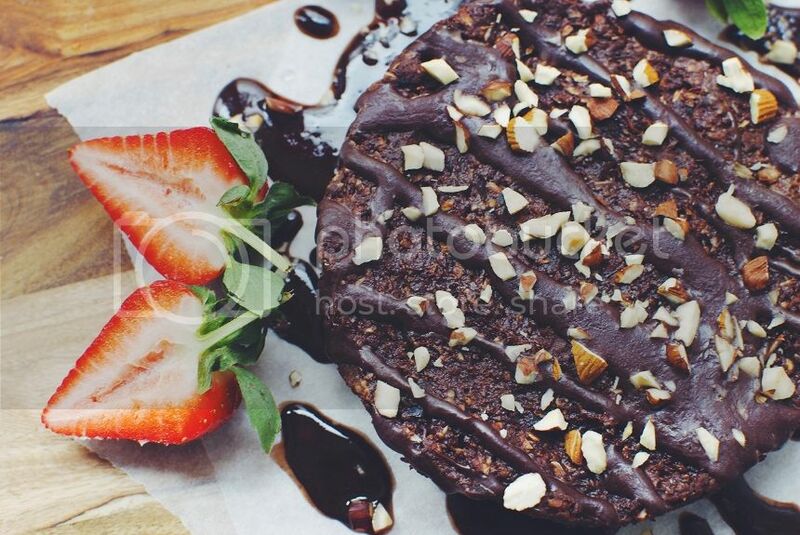 Raw chocolate cake with chia seeds – recipe here! I hope you found this post helpful and if you have any questions about chia seeds or super foods in general just let me know! Chia overnight oats – find the recipe here! 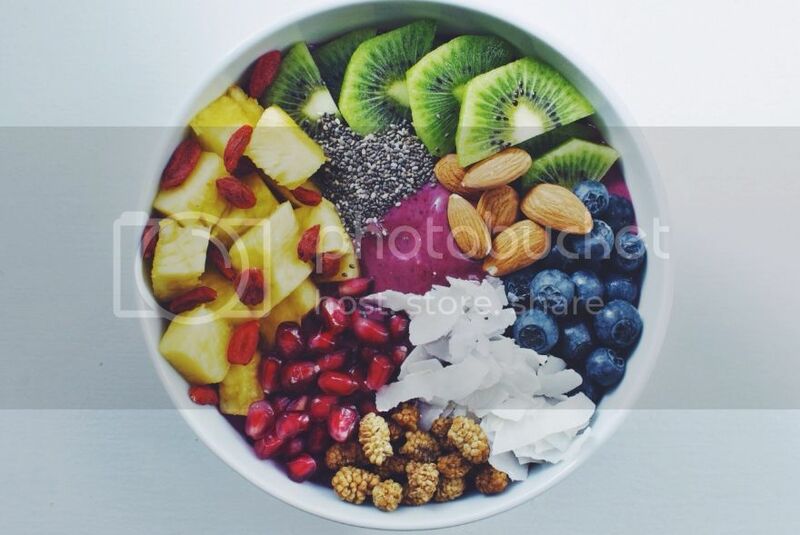 For next weeks ‘Superfood Sunday’ I will do a post on the acai berry and it’s nutritional benefits + share some of my favorite ways to incorporate acai into my diet. 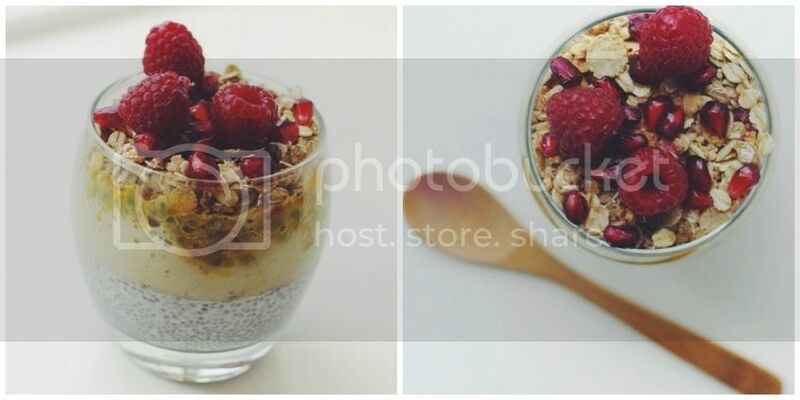 Parfait with chia pudding – recipe here! 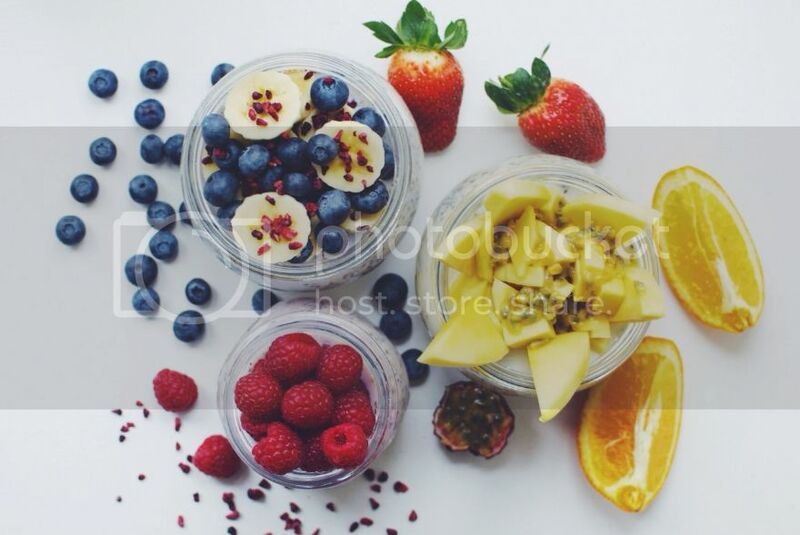 I found your blog through your instagram account and all the delicious things on it. Just bought chia seeds today and I can’t wait to prepare my first breakfast with them tomorrow morning.